Gmail is a free service provided by Google that enables users to send and receive email over the internet and also provides users with a gigabyte of storage for messages and provides the ability to search for specific messages. Organizations are moving to integrate Gmail with Salesforce to optimize their business. Here are some views discussed below related to integration. 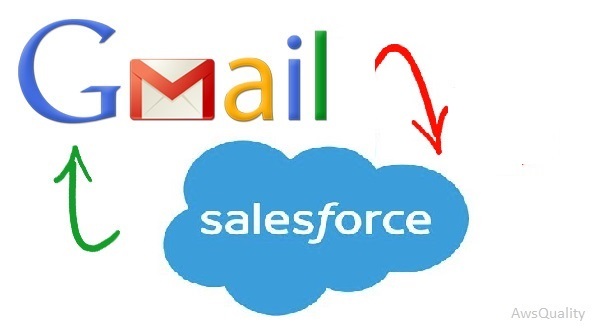 Why integrate Gmail with Salesforce? Maintenance of required emails and attachments separately was time consuming. We have to send email manually to target leads. Tracking of sent emails to respective leads was tedious. To manage date and time of sent emails, follow up mails to respective opportunity was irritating. We have to do extra efforts in maintaining new records in Salesforce based on Gmail data. Helps in automating email campaigns to target leads. Automatically track emails that you send and also keep close eye on how many times that emails are opened and prioritize accordingly. Sync Google calendar with Salesforce helps to schedule activity like email sending, follow up mail with opportunity easily. New contacts or leads can be added automatically to Salesforce from Gmail easily.